Miyun Park is the former executive director of Global Animal Partnership, an international nonprofit organization dedicated to improving the lives of animals in agriculture through collaborative multi-stakeholder efforts. Park previously held the post of vice president, farm animal welfare, of the Humane Society of the United States and Humane Society International. She has written and published dozens of articles and reports on animal agriculture and the welfare of farm animals. 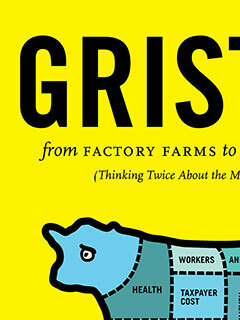 She is the co-author, with Moby, of Gristle: From Factory Farms to Food Safety (Thinking Twice About the Meat We Eat) (The New Press). She lives in Washington, D.C.